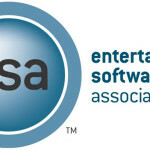 Ten nonprofits that are positively impacting the lives of American youth through video games received grants from the Entertainment Software Association (ESA) Foundation, the foundation announced today. • After-School All-Stars (ASAS) is a past grantee that provides students with educational opportunities outside of school. In 2018, the ESA Foundation is supporting the ASAS video game design curriculum, which serves more than 500 students in nine cities. Thanks to the ESA Foundation’s support, the curriculum this year will include a science, technology, engineering, arts, and math (STEAM) career exploration event in partnership with Verizon. • Becker College is located in central Massachusetts and boasts game design and development studies within its Interactive Media Design major. The college recently launched its ForEach Academy STEAM Community Outreach Program, which introduces underprivileged seventh and eighth-grade girls to video game design and programming. Support from the ESA Foundation will help in the expansion of this program to ensure more middle-school girls have access to a STEAM education, ultimately building the pipeline of future video game makers. • Brown University’s Bootstrap engages more than 25,000 economically disadvantaged students by integrating computing and algebra education in ways that address persistent challenges for learners in both disciplines. With help from the ESA Foundation, 2018 will continue to see the expansion of Bootstrap’s integrated development environment for disabled students in new and innovative ways. With the grantee funding, Bootstrap will be able to bring its integrated programming to Native students in New Mexico, where teachers have shown excitement to implement the game-programming software into their algebra curriculum. • Extra Life is a 24-hour video game marathon and fundraiser that has raised over $40 million for medical research and treatment at Children’s Miracle Network Hospitals (CMNH) across North America since its inception. As a returning grantee, Extra Life will use its 2018 funding from the ESA Foundation to develop its mobile and social fundraising apps. These apps will allow participants to fundraise “on-the-go” and will give CMNH the ability to provide suggested messaging for social platforms. • Girlstart is a returning grant recipient that promotes young women’s early engagement and academic success in science, technology, engineering and math (STEM) and ultimately resolves the gender gap that currently exists in today’s STEM workforce by serving almost 30,000 girls nationwide. In 2018, Girlstart will use its ESA Foundation grant to offer more summer camps that encourage underprivileged girls to participate in STEM activities at no cost. • Global Game Jam supports the next generation of game developers by hosting the world’s largest annual game jam. 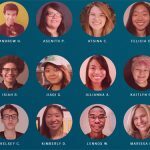 The ESA Foundation will support Global Game Jam’s new youth program GGJNext, a comprehensive week-long curriculum that ends in a youth game jam where students can showcase the games they spent all week learning about and creating. 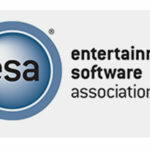 Funding from the ESA Foundation will ensure that the week-long program remains completely free and open to all students who wish to learn more about the development of video games. • Global Kids Inc. programs help youth tap into their curiosities to develop games that have an impact on communities, by giving them access to engaging environments and open-source tech tools. 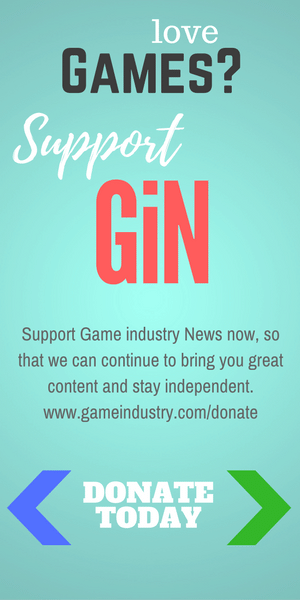 In 2018, the ESA Foundation will support the nonprofit’s game-design program, Haunts. With this funding, Global Kids will be able to expand this STEM-based learning program to Houston, New York City, and Washington, DC, giving more students the opportunity to create an educational, geo-locative alternative reality game. • iCivics, founded by former Supreme Court Justice Sandra Day O’Connor, reinvigorates civics learning through interactive games and resources for middle school students across the country. In 2018, the ESA Foundation will support this returning grantee in creating a Spanish version and corresponding teacher curriculum of its most popular video game Do I Have A Right?, which has been played more than 45 million times. The project will grant English language learners the opportunity to learn more about their rights and partake in civic life. • Smithsonian American Art Museum (SAAM) is a returning grantee dedicated to the art and artists of the United States. The ESA Foundation will support SAAM’s fourth annual Indie Arcade, a free public program with video game-related exhibits, programming, and workshops that will be held in early August 2018. The event will welcome more than 20,000 visitors from the nation’s capital, Maryland, Virginia, and other states. • Scholastic’s Alliance for Young Artists & Writers Inc. empowers creative teenagers in continuously changing artistic fields, including video game design. Thanks to support from the ESA Foundation, the alliance will develop and expand the reach of its video game workshops to more than 200 teens in seventh through twelfth-grade. These workshops will introduce students to video game design platforms and teach them successful game structures and storytelling.